Master Teaching Artist Susansylvia Scott is a creative and innovative storyteller. She holds a Master of Arts in Theater from the University of Missouri, Kansas City. Two of her mentors are Vincent Dowling, of the Abbey Theater in Dublin, Ireland and John Houseman, a teacher at the Julliard School of Drama and featured in the Paper Chase. Based on her experiences on the stage and screen, Susansylvia specializes in unique and creative audience participation. She is also a successful private tutor for children with dyslexia and learning challenges. Susansylvia’s workshops, residencies, and master classes for teachers and students emphasize reading comprehension and creative writing. 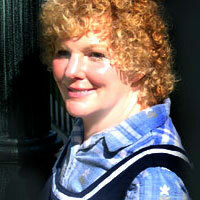 Susansylvia was honored as KCYA's Lighton Prize winner for Teaching Excellence in 2006.